Maison et Objet 2017 is coming up and we thought it’s time to start creating some anticipation! The last editions have been great, so today we remind you how amazing this trade show is! M&O 2017 is taking place between January the 20th and the 24th in Paris and you can be sure of one thing… it will not disappoint! Some of you may not be familiar with this incredible event, but let us tell you Maison et Objet describes itself as “a global experience, encompassing the latest products, the brightest creatives, indispensable workshops and inspirations”. Pretty cool, right? And it gets even better: you can enjoy this design frenzy for five days! That’s five days for you to hold on to as much inspiration and you need and to get acquainted with all the best home design brands in the world. Yes, M&O is the place to find all the big design sharks! SEE ALSO: CHRISTMAS LIGHTING TO WARM UP YOUR FAMILY HOME Maison et Objet is more than a simple trade show. It’s an experience that “analyses the emotional, the creative and the commercial aspects of the sectors”. There, you can also “meet the major players, find innovative solutions, and learn from industry experts”. This year you can also enjoy Maison et Objet’s new online platform “Maison et Objet and More” (MOM) where you can find all the information about it. This year’s inspiration for Maison et Objet is Silence! M&O believes that “like a remedy to the interminable racket of words and images, silence has a calming effect on the hyperactive, garrulous and loud times we live in.” You can also expect to find thousands of booths from multiple interior design brands that you will not want to miss! 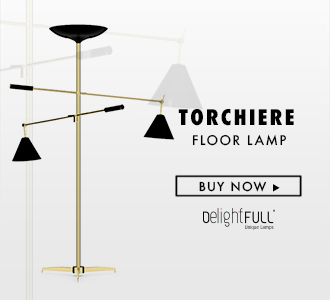 At the top of our heads, we can recommend that you visit DelightFULL’s booth, that will be in Hall 5. But don’t worry, because for the next couple of weeks we’ll be talking a lot more about M&O and what you can expect from the biggest European interior design tradeshow! So stay tuned for more news about this amazing event! SEE ALSO: CHRISTMAS LIGHTING TO WARM UP YOUR FAMILY HOME Now, we leave you with a beautiful video of an even more beautiful project this time in the heart of Portugal!